Cross and Cutlass: Return to Shirley Plantation, A Civl War Romance - Ebook Giveaway! 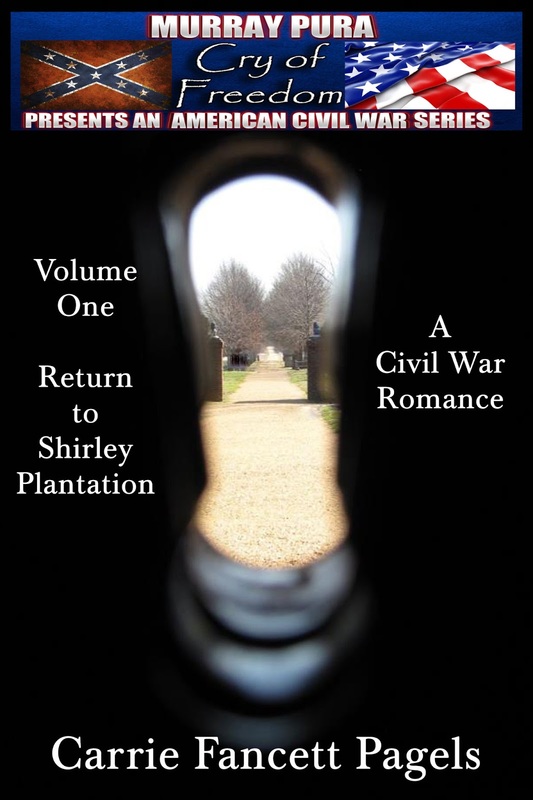 Return to Shirley Plantation, A Civl War Romance - Ebook Giveaway! Please welcome today, author Carrie Fancett Pagels who has just released her very first book!!! It's a Civil War Romance. I recently read it and believe me, you're not going to want to miss this one! This short novella was a pure joy to read. I found myself completely enamored with the story, the characters, the secrets and mystery, the endearing love and the history! The author's exquisite attention to historical detail will make this a delight for all historical fiction readers. The romance will draw in those of us who are die-hard romantics, and the suspense will keep the rest of you itching to turn the page. All in all, a well written, fascinating look into life on the Shirley Plantation in Virginia during one of the worst times our country has experienced. Despite the horrors of war, you'll come away feeling satisfied and hopeful and longing for more. Now, How God brought about the publishing of Carrie's book! It really does seem like a miracle the way my debut novella “Return to Shirley Plantation: A Civil War Romance” came together! First of all, I had been convicted by the Holy Spirit that I should withdraw one of my three-book proposals, out on submission (in committee with one company) and bring it back in and give the first story in the trilogy solely to one publisher, who requires exclusivity when considering. So my agent and I did that and submitted a new one-book proposal to the editor for that line. 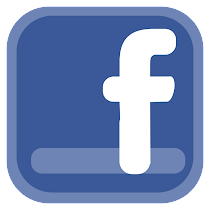 Literally within days I got contacted by Murray Pura, on Facebook, asking if I had a Civil War story I might want to include in an anthology he was pulling together. He had a dozen people on board for the anthology and only a couple of spots left. Because I had pulled back the three-book proposal, I had two “orphan” book blurbs, one of which was, ta da, a Civil War story. But given that a big part of Murray’s Cry of Freedom series was a focus on the various battles from 1863, I wasn’t sure if my story would work. So I sent the blurb to Murray. Very quickly, he replied that he was interested. Because I’ve had an ongoing relationship with the staff at Shirley Plantation, I was aware of and had purchased an excellent book by Julian Charity that was published last summer. I read the Civil War section of the book and determined that my story would have to begin in 1862. I asked Murray and he said as long as I finished it in 1863 we should be okay. This was in Mid-February and he wanted the books to begin publishing in early April. So we were looking at less than six weeks away. Projects could range from 7K or so to 25K—either short stories or novella-length preferred. I set out to do a short story based on my blurb. First I frantically called Julian Charity at Shirley Plantation and begged, “Please, can I come out and see you and talk about the family during the time the plantation was occupied as a field hospital?” He laughed—and agreed! So I drove the 75 minutes out there and Julian met with me. He and Randy Carter also gave me a tour of the second and third floors of the house (I am a Shirley Plantation supporter and this is a special perk that is allowed—something new they are doing, with memberships at different levels.) Then Julian and I had lunch and chatted some more about the Civil War at Shirley Plantation and in the area. By the time we were through I had an excellent feel for what was going on there and felt very grounded in the setting and time period. On the way back I called Kathy Maher, who was also signed on for the anthology. She gave me more advice, some excellent stuff, and also agreed to be my critique partner (this is another writer who checks your work and you swap chapters back and forth with each other.) I have to say she was the easiest crit partner I’ve ever worked with. We’d match each other and send the same amount of work and turn it around in the same amount of agreed-upon time. We also both decided to change from short stories to novella length because we had too much story for a short. Under six weeks from start of this project to publication of my ebook on Amazon. A miracle. And I am so grateful for the help God sent my way to make this possible. And I am glad for my obedience to His prompting along the way! How about you? How have you been blessed by obeying God’s prompting? And has He given you a miraculous blessing because of doing so? GIVEAWAY: PDF copy of “Return Shirley Plantation: A Civil War Romance” an Amazon bestseller in Hot New Civil War history! Also a copy of Julian Charity’s book “Courage at Home and Abroad: A Military History of Shirley Plantation” and beautiful notecards from this historic site. And MaryLu is giving away a FREE Kindle copy of Carrie's book too! Leave your comment below in answer to Carrie's question (with your email address) and I'll choose two winners next Friday! Carrie has a Ph.D in School Psychology. But don't let her genius intimidate you! She's one of the sweetest, most generous people I know! 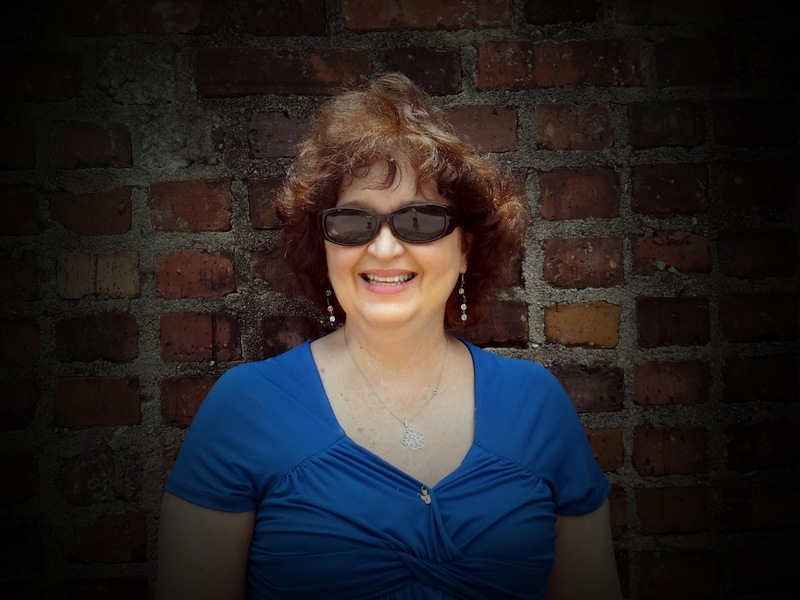 Bio – Carrie Fancett Pagels, Ph.D.
Where you can find Carrie!! Carrie, you truly are one of the most gracious and approachable people I've ever worked with and been blessed to call friend. Thank you for those kind and generous words. The truth is you helped me far more than I helped you. Blessings on your many book launches! hugs! Thanks for having me today, ML, and thank you Kathy!!! You are so sweet! And ditto back to you!!! As Director of Shirley Plantation, Carrie Fancett Pagels offered me the privilege of reading the novella prior to its release and I could not put it down - captivating! I have no doubt, we will be seeing much more of Carrie's creative stores! About 17 years ago God moved us to take care of my parents. We did as He directed and needless to say He has blessed us constantly ever since. He provided housing ( not just a house but a NEW house), jobs, our children, who are now grown, are all around us as their careers are blooming! All because we said "yes" to His direction! My folks are still here and we receive the blessing of a Godly heritage from them too! Wow, what a great post! As for things that God has asked me to do, mainly it's just been to hold my tongue and pray for those around me, which has been very difficult :). Thanks for hosting this giveaway! The novella sounds really good. This sounds just wonderful! I am so enjoying the opportunity to get to know you a little, Carrie, even if it is through cyberspace..lol. Learning to do exactly what God wants us to do is so hard, but incredibly rewarding! JANET, so great to see you here!!! Thanks so much for your kind words! I love Shirley Plantation and you have become a friend--I hope a lifetime one. You are such a fascinating and gracious person! Hugs!!! CARRIE, I just love hearing how this all came about. Miracle is right! If I knew I had just 6 weeks to get this all done--I would have freaked out! I have been blessed many times over for obeying God when asked to come on the blog (Overcoming With God) with you. 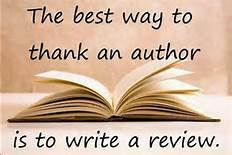 I knew nothing about blogging, very little even about reviewing, but God has been with me every step of the way! I love it -- and you! And your novella! lol BTW my word verification below has my name in it! And my middle initial -- like this dianl. How strange is that? How about you? How have you been blessed by obeying God’s prompting? And has He given you a miraculous blessing because of doing so?" Yes, by far, His path for me has led to pleasant places ~ Psalm 16:6 "The lines are fallen unto me in pleasant places; yea, I have a goodly heritage." Psalm 119:111 "Thy testimonies have I taken as an heritage for ever: for they are the rejoicing of my heart." and our blessing? our youngest will be 27 on Monday! CARRIE!!!! Welcome to MaryLu's blog! You already know how I feel about your story. I loved it, couldn't stop reading until the very last page! You are a sweet soul and you deserve to be published. Here's to many more publications in your future! Yes, I followed God's prompting to mention to MaryLu that she should put together a devotional. She, in turn, asked me to help her put one together. We are in the process of getting it out to the public..a mixture of her devotions and mine! Praise be to God! Praying it blesses many souls. Love ya, gal! Hugs and God bless! I posted for Callie but it didn't take. CALLIE, I love that name and my son is using it in a story right now! I do the girls' parts of course! I hope you will read and enjoy my story! Blessings! JO, I love testimonies of overcoming!!! God is so good! Thanks for coming by! BETTI, Great getting to know u better, too! Thanks for visiting with me here on ML's blog! Blessings! Hi ladies!! So nice to see you here! Thanks for joining in the celebration of Miss Carrie's first novella!! I, for one, am so excited for her! It's a great story you won't want to miss.. so please share this post with your friends. I love hearing the testimonies of how faithful God is! I have a similar story to Carries.. I heard God tell me to write a Christian Pirate novel some years back. I obeyed and it became my first published novel! How cool is that? DIANA, God has really been with you on OWG as you've increased your ministry. I have really enjoyed your reviews and you have been such an amazing angel to me. What would I do without you? Hugs!!! Thanks for coming by and happy birthday to your "baby!" Blessings! I think I would have passed out if given a 6 week period to finish. What a blessing for you to have this kind of support, Carrie! And I know you had a lot going on at the same time that wasn't writing-related! Hey MaryLu and Carrie. Love how all this came together for you, Carrie. It's wonderful when we are lead and really know the direction God wants us to take. Kathy is an awesome crit partner. The best IMO. ;o) And Debra, you are so right. That was a great radio interview. Carrie did a great job. Carrie, love your story of how "Return to Shirley Plantation" came about. Wow! Six weeks to write a story. That's pretty amazing. There have been many times when God has asked me to do something (and sometimes the prospect of what He asked me to do, scared me to death), and when I obeyed, He blessed me more than I could have imagined. Thanks for sharing your story. I would love to read Return to Shirley Plantation! MAXIE!!!! You are an awesome encourager and I love seeing you here!! Big hugs!!! DEB, EXACTLY--this was a GOD thing!!! Murray did say he could move me around. And Kathy was also willing to take a crack at being ready for April 1 but neither of us wanted to be April Fools, lol! Since my story started in 1862 and Murray gave me some leeway I felt led that mine was supposed to be first so I kept cracking at it and GOD provided--we serve an awesome God! DL, Kathy was my best CPer so far and we have another project we will crit on again. Not my Christmas one nor my "problem child" MS but another novella we've committed to do. Thanks for coming by and thank u for ur kind words!! I LOVED the radio interview--so fun!!! ANGI, That is cool! I love your email addy name, btw! Thanks for coming by! Loved the interview and I would love to read Return to Shirley Plantation. Years ago we lived in a mobile home. One day my oldest son came home from visiting my mother and said the house next door was for sale. I knew that we really couldn't afford a house, but I prayed about it and felt the Lord leading me to go and see the house. Well I fell in love with it the minute I walked in the door. It had everything I wanted in a home. Long story short, He blessed us with the house and have been living here 15 years! You're becoming quite famous!! congratulations! I've enjoyed reading all about you and your writing. I'm finding it hard to answer your question. God has always blessed me, but I KNOW God prompted me ALWAYS to stick with my late husband when he was going though some personal issues. And was I blessed - YES!! He was the best part of my life! TINA, TY! So glad God blessed you! Hugs! SUSAN, you are so funny--famous is not on my list! Oh that is so bittersweet about your hubby. Hugs to you!!! CONGRATS to CALLIE! You are the winner of my giveaway and I will email you. Many blessings and I hope you will enjoy!